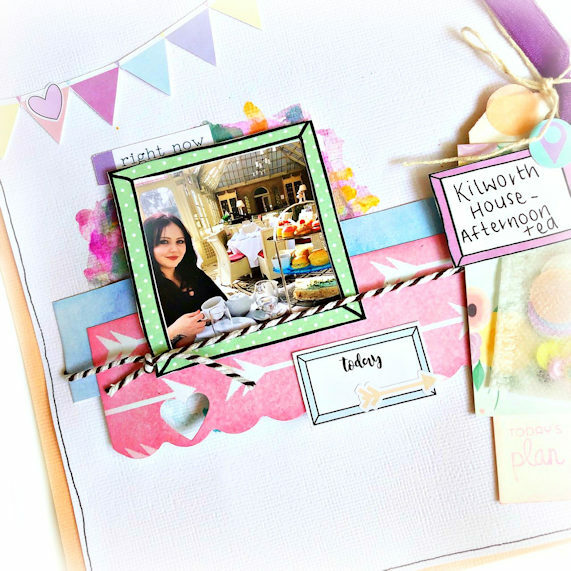 Hi everyone, Today I have an 8×8 scrapbook page to share with you. I very recently celebrated my 30th birthday, my partner and I went out for a lovely afternoon tea, kid free!! (as a mum of 3 that never happens haha) so, of course, this needed documenting and when I saw the cute little tea bag Lisa had put in the ‘Planner Girl’ box I was so excited. With this page I kept the backing mainly plain, I did do a patch of watercolouring where I wanted to mount my photo and added a couple of strips of the pattered papers. I also cute some of the paper to use as a bunting. For my photo I used the same technique I have before and cut one of the frames from the papered papers and adhered it to my photo before adding it onto my page. 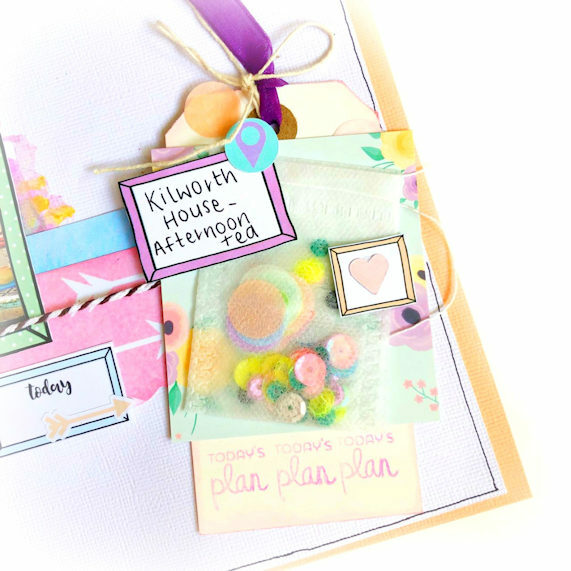 For the main focal point of this page I used one of the tags, the packaging I cut down from the sticky notes and of course, that adorable little tea bag which i popped some sequins and confetti into. I added a couple more of the frames, this time leaving the centre so I could write in and add a little die cut. I hope you are having as much fun with your kit as I am with mine.